If there is anything that Oklahoma City, OK is well known for, it is our stifling hot summers. Due to this, it’s imperative that you have an effective and efficient AC system to get you through the warmer months. Fortunately, you can rely on Comfort Incorporated for professional air conditioning services, including installations, repairs and maintenance. 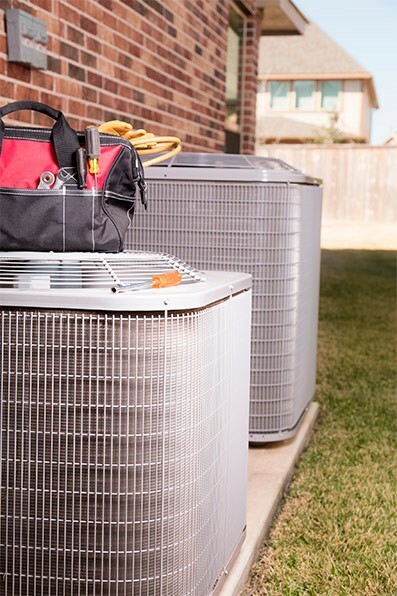 With over 6 decades of service, our team provides the best in AC services, including up-front pricing and a 100% satisfaction guarantee on all of the work that we perform. You can rest assured that you’re getting exceptional products and services—as well as the attentive care that you deserve. Contact us today and learn more about how hard we work to keep your family safe, healthy, and comfortable. Give us a call to request an estimate on air conditioning services in Oklahoma City and the surrounding area. No matter what type of air conditioning system you’re having installed in your Oklahoma City, OK home, there are many factors to take into consideration—one of the most important factors being the size of your system. It must be the appropriate size for your living space in order to work as effectively as possible. When you’re looking for a reliable cooling system, you needn’t look any further than Comfort Incorporated. We work with you to choose the best air conditioning system for your needs. From sizing the system to meet the size and space of your home to providing clean and timely installation of the system, our HVAC contractors are the trusted choice in Oklahoma City. Our air conditioning installation and replacement services cover a wide range of AC brands and system types. Give us a call today for more information about the following air conditioner models! Central Air Conditioners: Central AC systems are the trusted source for cooling for hundreds of home owners. They have proven to be highly effective and efficient, particularly when coupled with a quality zone control system. Heat Pumps: Heat pumps are a two–in–one system, both effectively cooling your home in the summer and heating it in the winter through the process of heat exchange. Ductless Air Conditioners: If your home cannot accommodate for bulky ductwork or if you would like to eliminate the potential air quality problems that come with air ducts, then a ductless system may be right for you. Dual Fuel Systems: Dual fuel systems are the perfect choice for homeowners looking for an efficient way to condition their home with a heat pump, but need a backup heating system for chillier winters. Geothermal Heating and Cooling: These systems use the steady temperature of the earth to effectively heat and cool your home. The efficiency of geothermal systems allow for consistent and reliable heating and cooling throughout the entire year. Thermostats: Without a properly functioning thermostat, it is impossible to properly cool your home. Even if your current device works, the advances in WiFi and Smart thermostats are worth looking into. They will save you money and can even learn your temperature preferences over time. 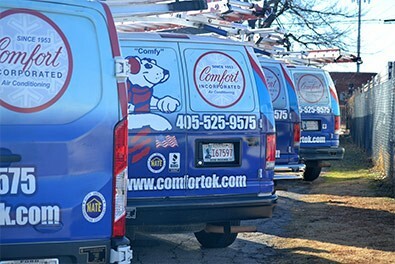 Why Choose Comfort Incorporated for AC Services in Oklahoma City? To take advantage of these offers, all you have to do is call! Our team is on call and ready to help you book air conditioning services in the Oklahoma City area. There will eventually come a time that you will need air conditioning repair or maintenance. When you are a member with our air conditioning maintenance plan, you can rest assured that your AC system will be fully inspected, cleaned, and adjusted for optimal performance. We’ll also make recommendations for repairs and perform a free Home Performance Inspection, which includes blower door testing, infrared camera inspections, and more. With regular care, not only will your air conditioner last longer, but it will also run more efficiently, helping to maintain a lower cost on your energy bills. When your air conditioner is in need of repairs, we’ll handle that too. We’ll get to your home quickly, assess the root of the problem, and offer a reasonable solution. When coupled with routine maintenance, efficient AC system repairs will help your cooling system function as it should throughout its entire lifecycle—a necessity with how much work your AC is put through year after year in this climate. 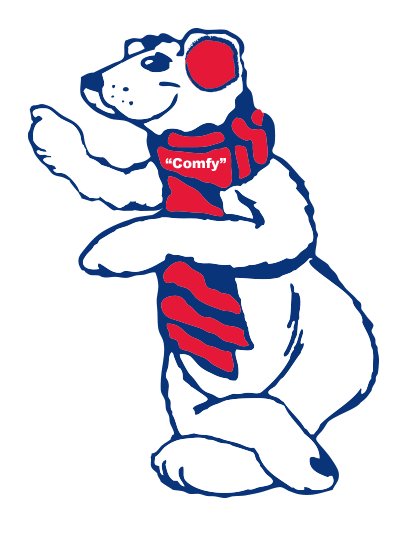 Whether you’d like to install a new air conditioner or you need quick air conditioning repair services, trust the HVAC pros at Comfort Incorporated to get the job done right. Our friendly staff is on call to help you with any questions you may have. Call us today to request an estimate on air conditioning services in Oklahoma City and the surrounding area.